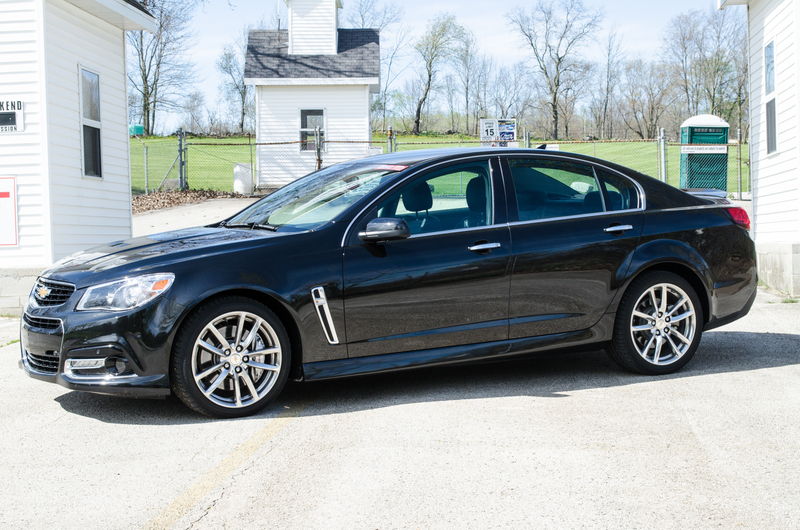 The 2014 Chevy SS follows a very simple formula. 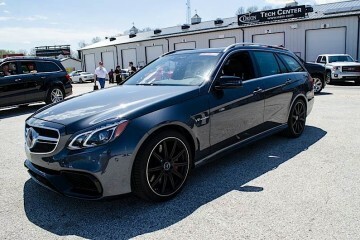 It’s a large family sedan with rear-wheel drive and a massive V8 engine. Powered by a 6.2L V8 that used to reside in a Corvette, the 415 hp Chevy SS tries to bring the soul of a muscle car to the everyday sedan. Have they succeeded? We took one for a test drive to find out. The SS looks very unassuming. That’s not to say it’s unattractive, but the body design hides the performance really well. The SS is a large sedan capable of carrying five people on long journeys with ease. The V8 powered Chevy SS. Inside, the seats have extra bolstering in them to help keep the driver and passenger in the seat while cornering. The dashboard is partially wrapped in suede to give it a sporty appearance. The SS logo sits above the glove box opening reminding passengers what car they are in. A 6-speed automatic transmission handles the shifting duties, with paddles mounted on the steering wheel if the driver wants to control it themselves. It works fine, but we’ve experienced better systems in other cars. We’d leave the shifting up to the computer on this one. It’s a pretty quick car. The SS can scoot from 0-60 mph in 4.7 seconds. This engine comes from the last generation Corvette. It sounds good, but a bit restrained. The suspension sits on the stiffer side in this car. 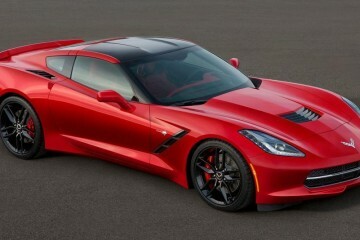 It doesn’t have GM’s magnetic ride control, which gives the Corvette Stingray a luxury car ride on the highway. But there are very few options on the Chevy SS. On the plus side, everything comes standard. This includes the full-color heads up display, radar cruise control, automatic parking, collision warning and blind spot monitoring. 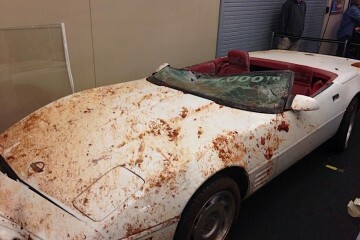 As a buyer, you only choose what color you want and if you want a sunroof or not. The SS is powered by a 6.2L V8 from the last Corvette. Built in Australia by GM’s Holden division, the SS needs to be simple in options to make it profitable to ship the car here. So General Motors decided to equip the US versions with everything possible. 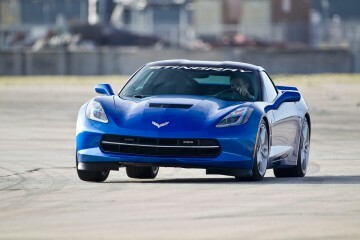 Even though it may have an engine from the Corvette, it doesn’t have the fuel economy of a Corvette. It’s rated 21 mpg on the highway, 14 mpg in the city and 17 mpg combined. That is low enough to require a $1,300 Gas Guzzler Tax. The new Stingray makes 45 hp more but avoids the tax. Odds are people aren’t going to cross shop a Corvette and a Chevy SS. But they might cross shop the new Impala and the SS. 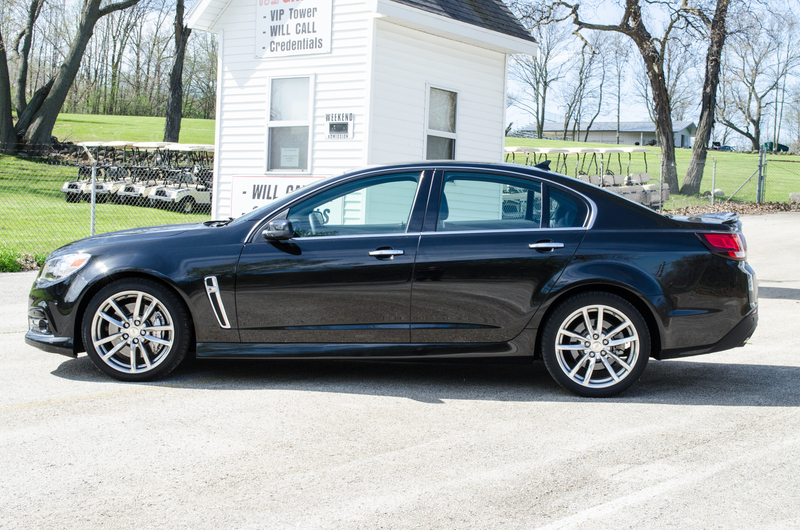 Fully loaded a 2014 Chevy Impala is about $5,000 less expensive than the SS. 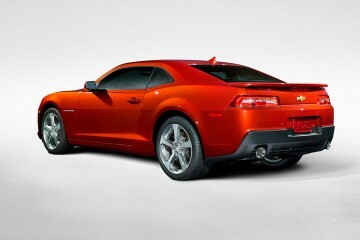 It only has 305 hp compared to the 415 hp of the SS, and only comes in front-wheel drive. 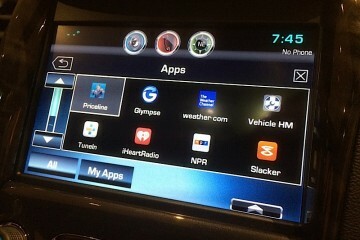 However, if you’re looking for the features of the SS you can get an Impala with all of the same options. 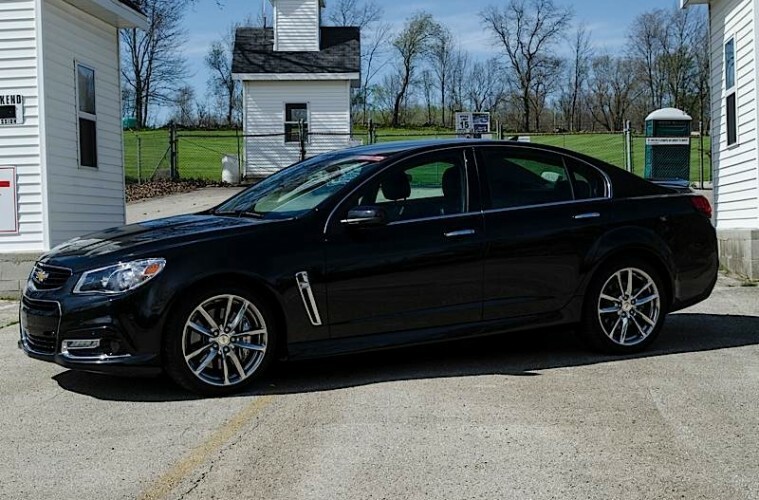 If you’re in the market for a nice looking, powerful rear-wheel drive sedan, then the SS is worth looking at. This is a car that you wouldn’t be embarrassed driving. It doesn’t have ridiculous fender flares, wings or anything that screams the power potential of this car. It’s a car you could take on a first date and your date won’t think you’re bonkers. It’s a car that you can drive to work and your co-workers won’t think you just got a huge raise. It’s also a car that will outrun an Audi A6 at a traffic light. The SS has room for five people comfortably. Behind the wheel we appreciated all the technology that the SS has. The full-color heads up display works well and helps with driving directions, radio station information and vehicle speed. The driving position is good and the seats are comfortable. 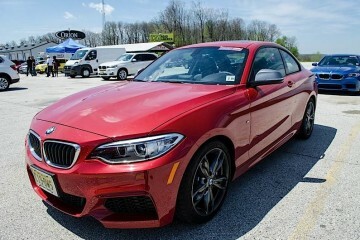 Yes, the suspension is stiffer than a normal sedan, but it’s not jarring or too uncomfortable. 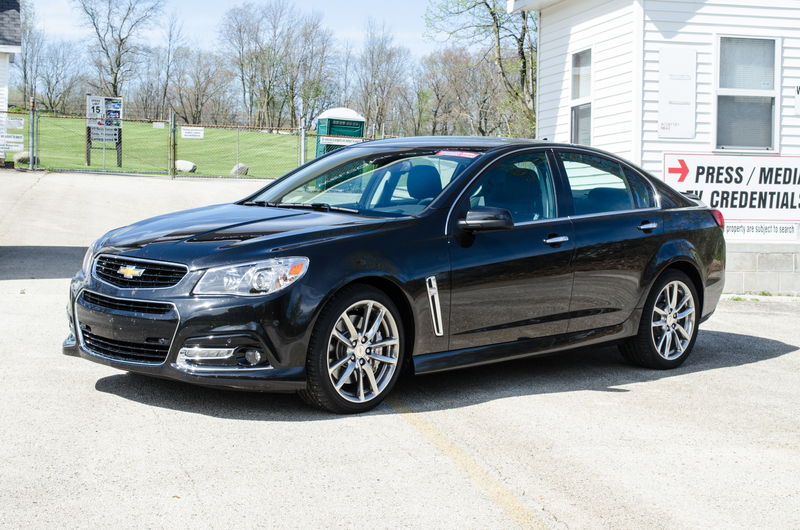 If you’re looking for a full-size family sedan with some grunt, you should check out the Chevy SS. Compared to the German competitors, the SS wins big on value for dollar. We’d like to see better fuel economy to save us at the pump and the annoying Gas Guzzler Tax, but the SS is an honest big American V8 sedan. 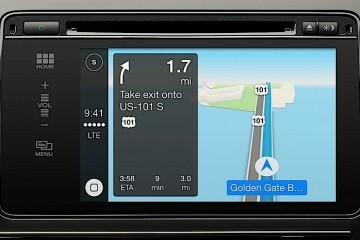 Kudos to General Motors for continuing to make one available. Pros: Fast. Fully loaded with safety and infotainment. Final Thoughts: Who doesn’t love a rear-wheel drive, American V8-powered car?